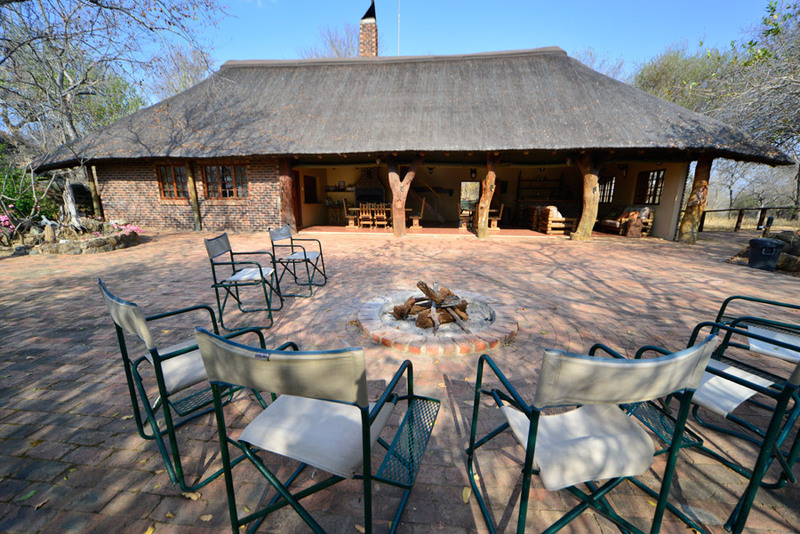 With its warm mineral springs, ample wildlife & regular excursions into the surrounding area Makutsi Main Camp has been welcoming guests to this part of Africa for over 30 years. 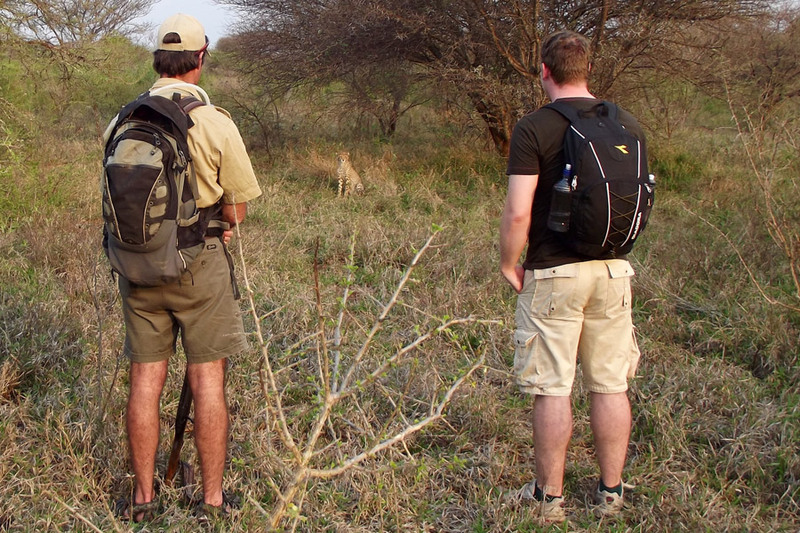 In combination with Makutsi Tented Camp, we are able to offer a mix of experience, comfort and adventure on foot. Nestled on top of a range of Koppies (rocky outcrops), offering an unspoilt view of the Drakensburg Mountains & lowveld, the focus of Makutsi Tented Camp is to offer you the adventure of walking safaris. 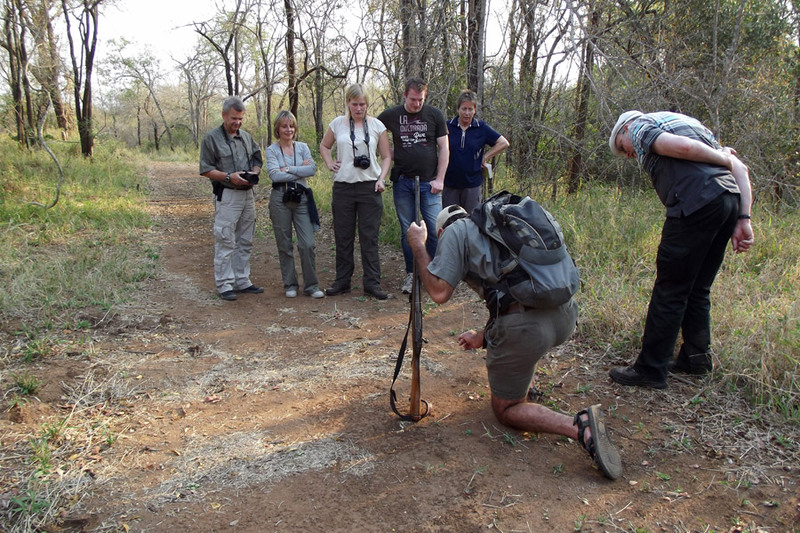 Get close and personal with nature, and let experienced Nature Guides show you all the stories it has to tell. Surrounded by thousands of hectares of private bushveld, Makutsi Tented Camp can sleep up to 8 people in 4 twin/double safari tents under thatch. 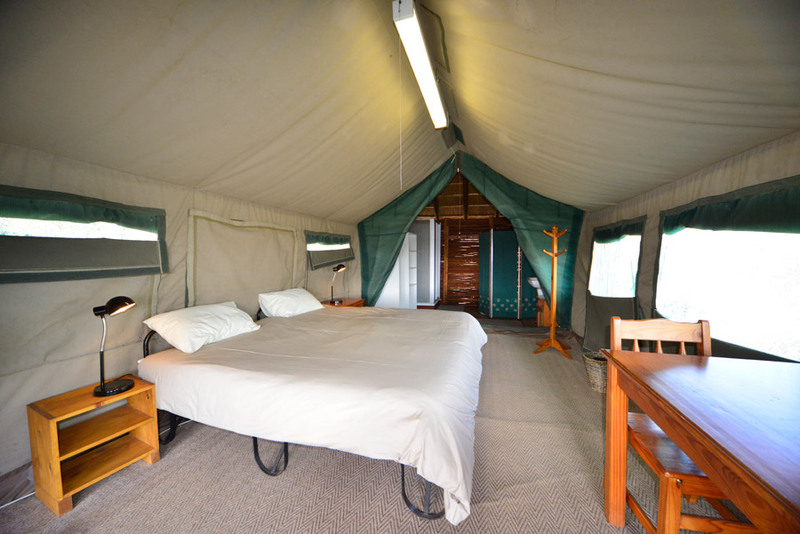 All tents have electricity, a private covered deck, standing fan as well as an en-suite bathroom with hot/cold showers and flush toilets. The tents are spread along the Koppies on wooden decks raised above the ground. 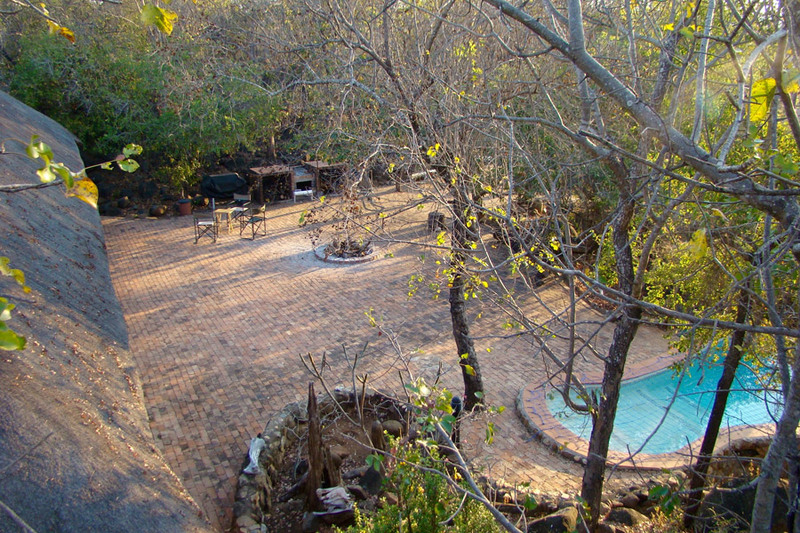 Enjoy sitting on your private deck overlooking a small water hole, while taking in the tranquility of the African bush. 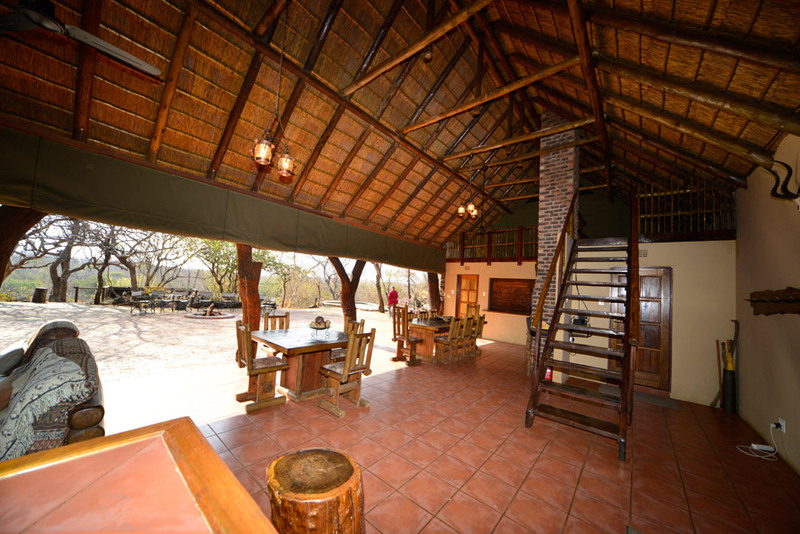 For all visitors to Makutsi Tented Camp the minimum age is 16. Walks can last up to 4 hours and following animal tracks might lead the trail through difficult terrain. An average-to-good fitness level is required. All walks and game drives are dependent on weather and animal movements and are conducted from camp in the early mornings & late afternoons, always accompanied by an experienced and armed Nature Guide. 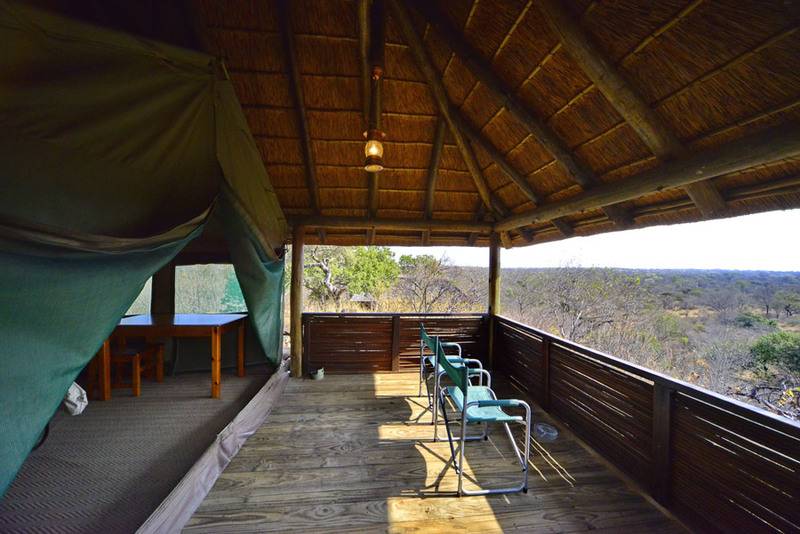 The camp also offers a restaurant and lounge area, small library, viewing deck and a pool. The main attraction however is the privacy, the walks, sharing nature and wildlife with only a few other people. 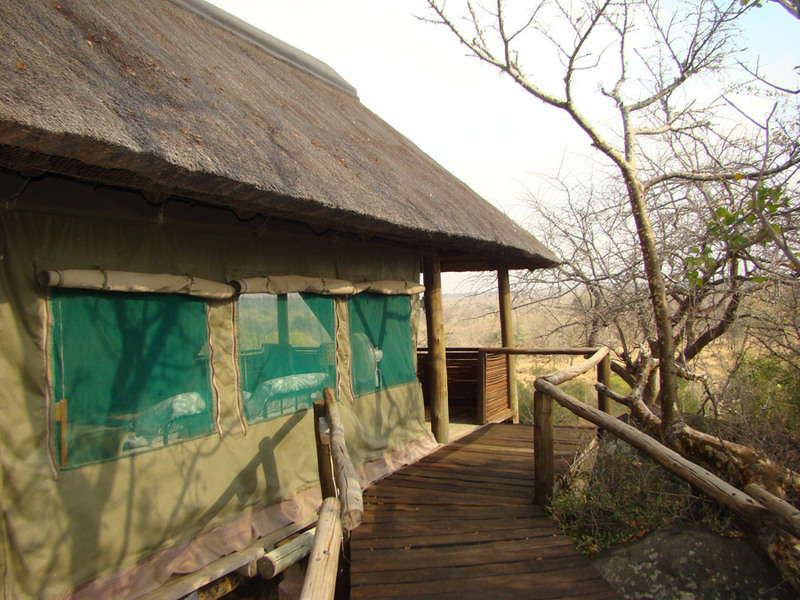 Makutsi Tented Camp can only be booked as part of a Makutsi Package, or as an add-on excursion from Makutsi Main Camp. 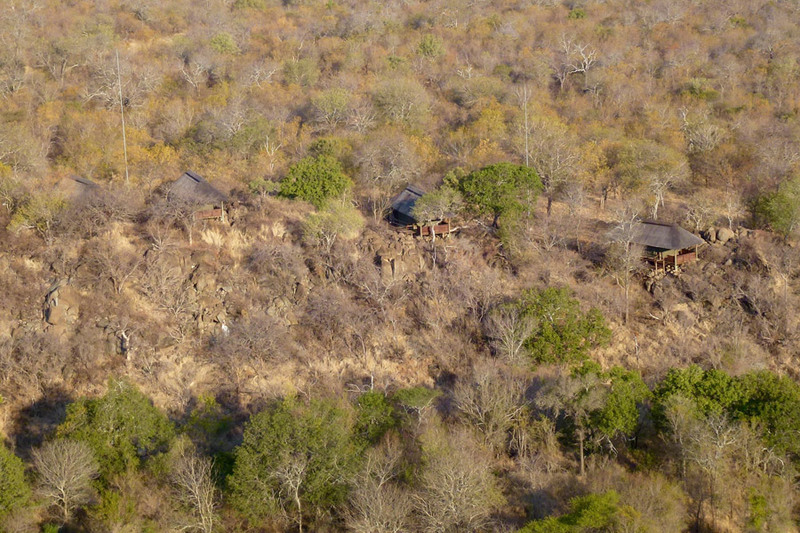 Visits to this camp are generally done as a 2 night, 2 day Sleep Out, including daily walking safaris.